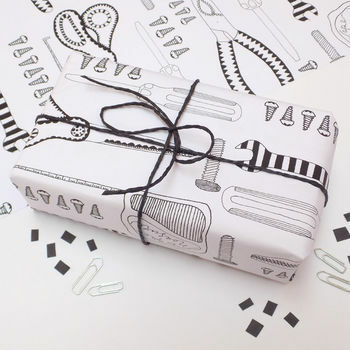 A fun tool print wrapping paper perfect for the DIY lover! 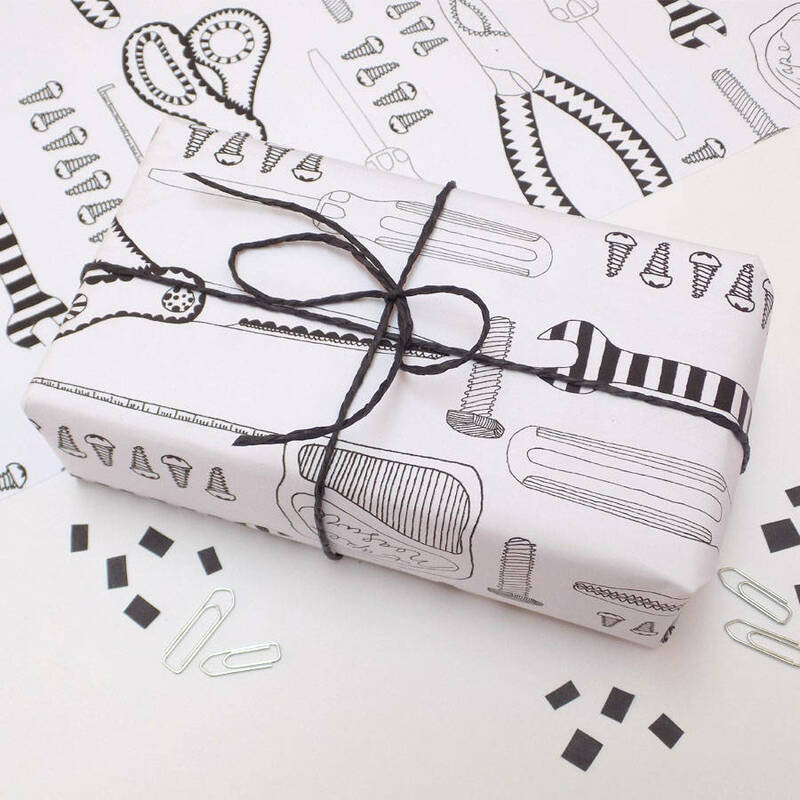 You have the perfect present, but you don't need rolls of wrapping paper. This is the perfect size for those small gifts whilst still making your gift look beautiful! 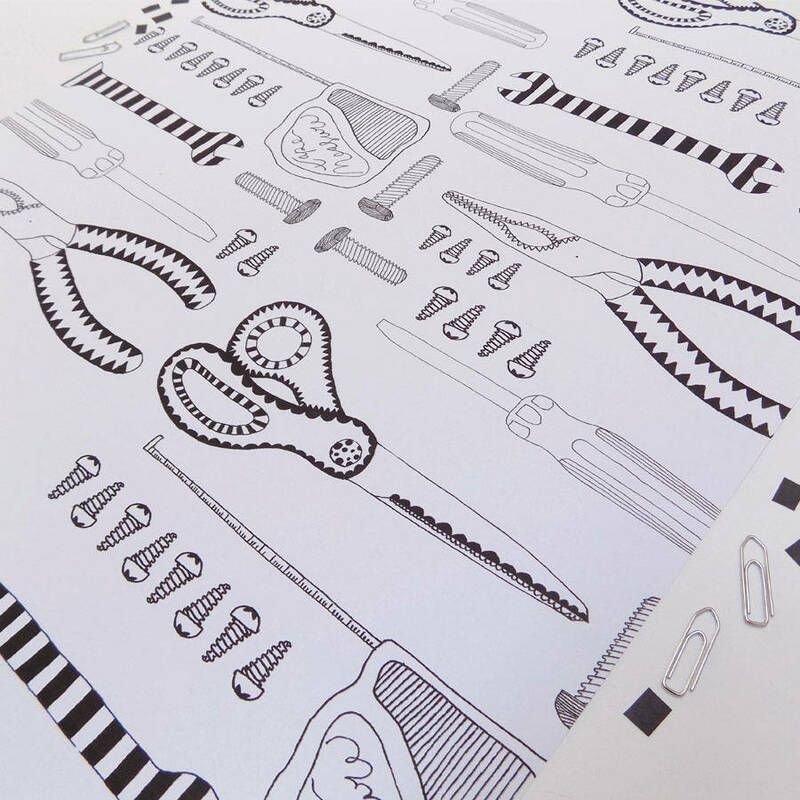 This wrapping paper is filled with fun illustrations of all the tools in every handy person's tool box. Each pack contains 2 sheets of paper and 1.5M of black paper yarn. Please note that this paper is called a mini wrap because it is smaller than a standard size sheet of wrapping paper. Each print has been digitally printed on white paper with black paper yarn and packed in a cellophane bag for protection.